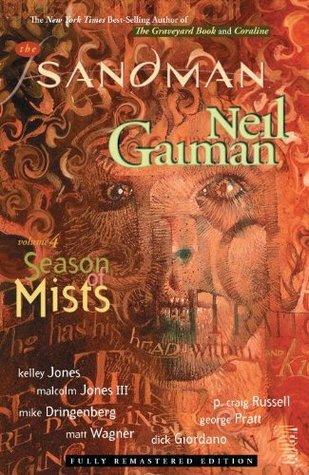 From Goodreads: Volume Four of New York Times best selling author Neil Gaiman’s acclaimed creation, with updated coloring and new trade dress.Ten thousand years ago, Morpheus condemned a woman who loved him to Hell. Now the other members of his immortal family, The Endless, have convinced the Dream King that this was an injustice. To make it right, Morpheus must return to Hell to rescue his banished love — and Hell’s ruler, the fallen angel Lucifer, has already sworn to destroy him. Thoughts: So have you ever wondered what would happen if Lucifer decided to abdicate his throne in Hell? Not only abdicate, but evict everyone and close the doors? Welcome to the Season of Mists, where Lucifer has left the building and handed the keys to Morpheus. What follows is the story of the other deities and entities who believe they should be given the keys. They all arrive at the Dream Castle to try and convince (bribe, threaten, cajole) Morpheus to hand over the keys to, in the words of Morpheus sister, Death, "The most desirable plot of psychic real estate in the whole order of created things." One of Gaiman's strengths is he makes it completely believable that Odin, the Trickster , Faeries, Demons, a Japanese deity, Bast and Anubis, and angels would all want the keys and sit down to a banquet together to petition the lord of dreams to hand them over. 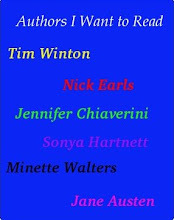 Can you think of many writers who can gather such a stellar cast of big characters and make it work? Gaiman does, and all in a graphic novel format where he has to trust the artists to flesh out his words. And that in itself is a good point to make about these books - there are so many more people involved than just Gaiman. Yes, he gives it a great framework to build on with an excellent story line, but the illustrators, letterers and colourists all contribute to make it the excellent production it is. Once again, well worth the read.